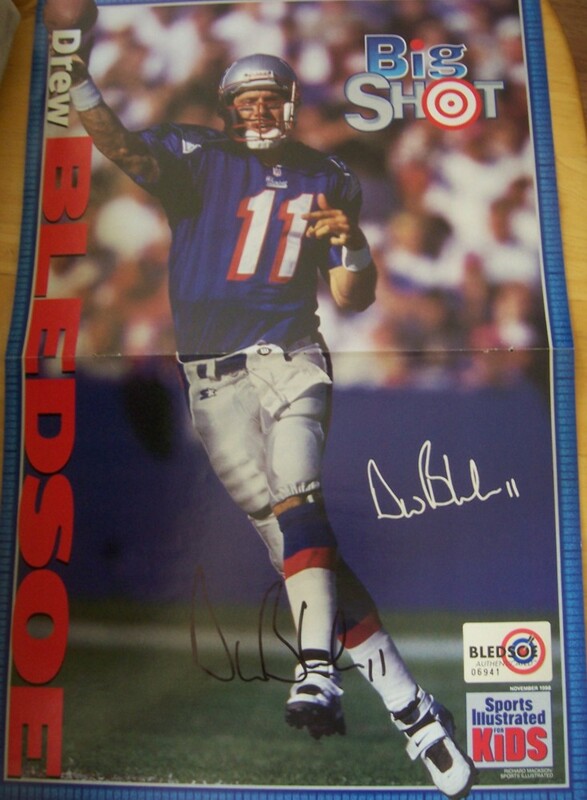 Sports Illustrated for Kids mini poster (about 10 1/2 by 15 1/2 inches) autographed in black marker by former New England Patriots superstar quarterback Drew Bledsoe. Authenticated by Bledsoe Authenticated, with their certificate of authenticity and numbered sticker on the poster. Has tiny staple holes, still suitable for framing. ONLY TWO AVAILABLE FOR SALE.